Inattentive driver bumps into a car parked behind him - fender bender that is claimed across the entire country every day. 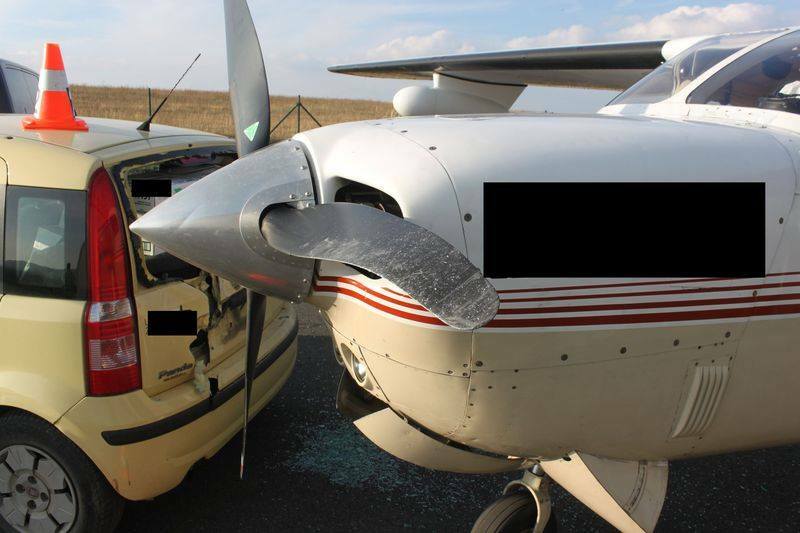 An unusual accident happened at the Pribram airport, where driver backed into an airplane. No injuries were reported. One would think that something as large and as loud as an aircraft can’t go unnoticed. 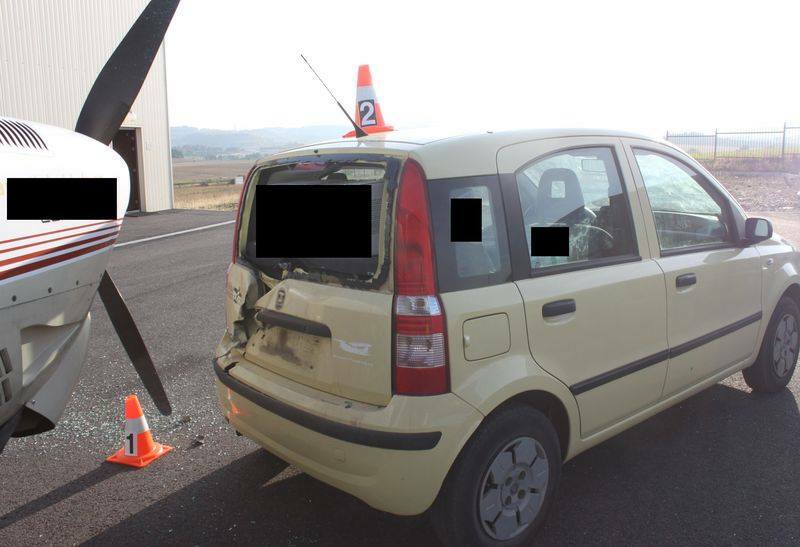 But a driver who backed his Fiat into its running propeller proves otherwise. The accident occurred Monday afternoon at the Pribram airport in the Central Bohemian Region of the Czech Republic. The course of the entire incident is currently investigated by the police as a regular car collision. The damages were estimated at 1,5 Czech million crowns.